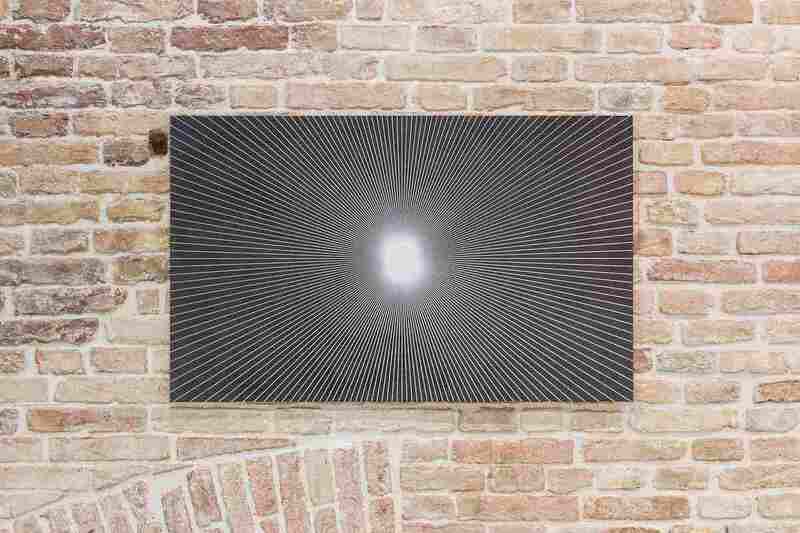 Among the main features of Venice is certainly Punta della Dogana. This beautiful architectural site was built in 1682 by architect Giuiseppe Benoni. Throughout the centuries, the owners shifted; however, since the 1980s the building was abandoned so the Venice city council announced a tender to transform it into a contemporary exhibition space. 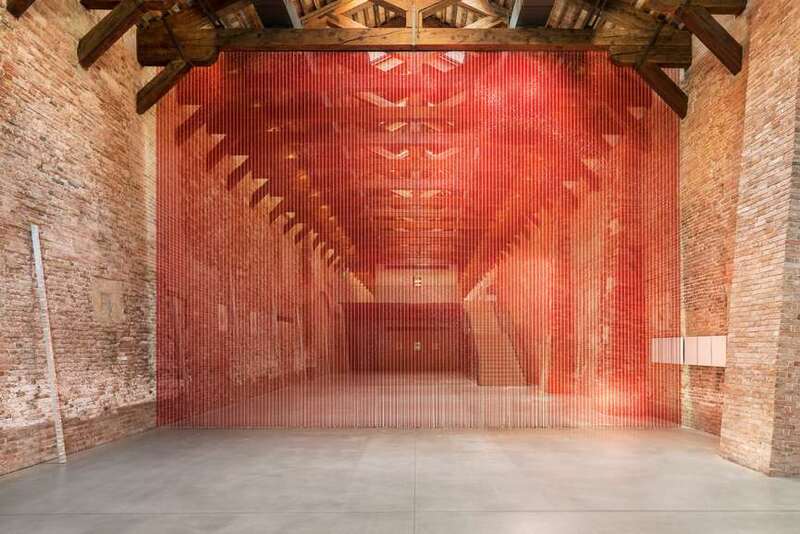 In 2007, the foundation The Pinault Collection owned by a French businessmen François Pinault was given the space, so Punta della Dogana was restored by famous architect Tadao Ando. Two years later, it reopened to the public and since then, contemporary exhibitions take place there regularly. The current exhibition Luogo e Segni (Place and Signs) is the seventh event to be released at Punta della Dogana since its opening. 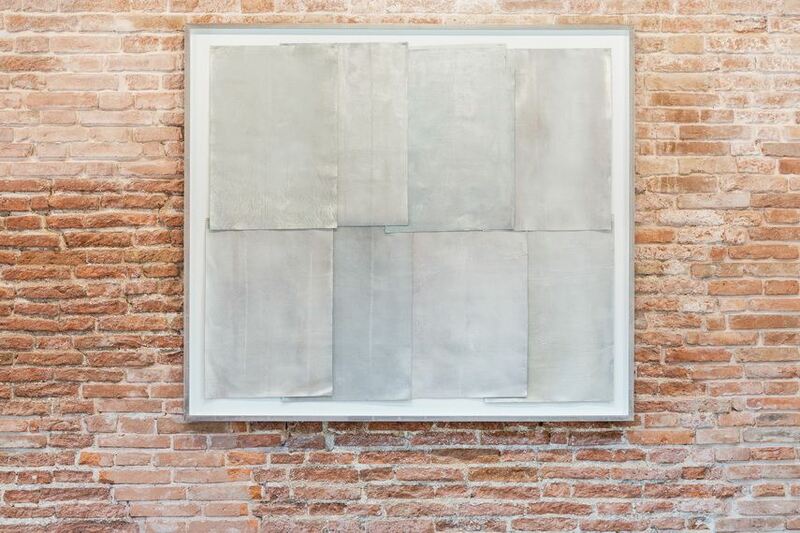 The project curated by Mouna Mekouar, independent curator, and Martin Bethenod, Director of Palazzo Grassi – Punta della Dogana, brought an array of exciting practices, approaches, and sensibilities. Rudolf Stingel – Untitled, 1990, Pinault Collection. Installation View ‘Luogo e Segni’ at Punta della Dogana, 2019 © Palazzo Grassi, photography by Delfino Sisto Legnani and Marco Cappelletti. 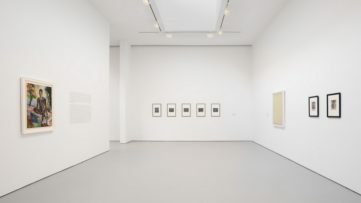 The exhibition title refers to 1976 artwork by Carol Rama which is on display; namely, over one hundred works by thirty-six artists such as R. H. Quaytman, Berenice Abbot, Liz Deschenes, Trisha Donnelly, Lucas Arruda, and Hicham Berrada and Edith Dekyndt, are more or less inspired by the writings of the poet and artist Etel Adnan. 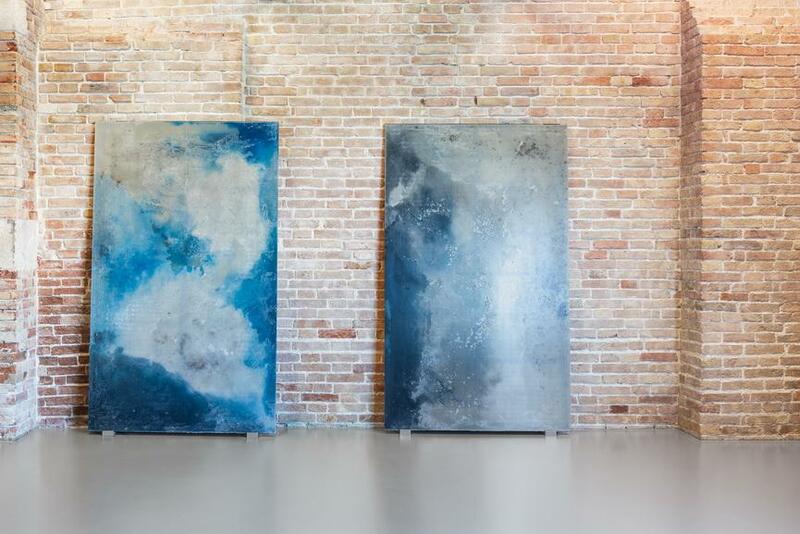 By echoing his poetry, the show evokes various atmospheric changes and the environmental transformations surrounding Punta della Dogana, such as the azure of the sky and the seas, the obscurity of the night and the light and the dark, the sounds and the scents, etc. Edith Dekyndt – Winter Drums 06 B (Tryptic), 2017, Pinault Collection. Installation View ‘Luogo e Segni’ at Punta della Dogana, 2019 © Palazzo Grassi, photography by Delfino Sisto Legnani and Marco Cappelletti. The main leitmotif of the exhibition is the memory of places – visual, but also aural, tactile, musical, literary memory; memory of the cities such as New York, Beirut, Rio de Janeiro, Lahore, Sarajevo; the memory of Venice and its glory through the centuries, as well as the memory of Punta della Dogana building and the emblematic artworks by Roni Horn, Felix Gonzalez-Torres, Elaine Sturtevant, and other artists whose works belong to the Pinault Collection. Another theme concerns the relationships between the artists and Etel Adnan, meaning that all of these dialogs and interaction make a specific network of thinking between different individuals united by poetry. Hicham Berrada – Mesk-Ellil, 2015-2019. Courtesy the artist and kamel mennour. Installation View ‘Luogo e Segni’ at Punta della Dogana, 2019 © Palazzo Grassi, photography by Delfino Sisto Legnani and Marco Cappelletti. Luogo e Segni bears witness to fruitful, stimulating, intuitive, and even distressing encounters, and sometimes generates them too. 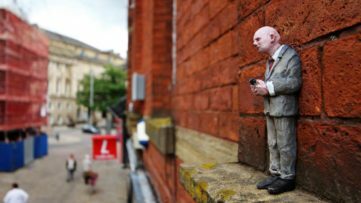 Disturbing links emerge between the artists. Whether it’s Etel Adnan, known and read by almost all the artists invited to take part, or Emily Dickinson, Roni Horn’s muse, or Susan Howe, mother of R. H. Quaytman and a friend of Etel Adnan, these shifting cross-references are like phantoms at work. Phantoms that unexpectedly turn the exhibition into a space of exchange and conversation. 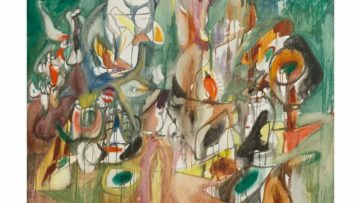 Conceived around and out of these shared worlds, Luogo e Segni brings together, in my view, a family of ideas, a community of individualities, emerging from different horizons and animated and inhabited by poetry. Carried along by this movement, the artists play around with these displacements and entanglements, using them to tell stories within the story, to construct situations, places, and combinations of space and time, sometimes individually and sometimes jointly. 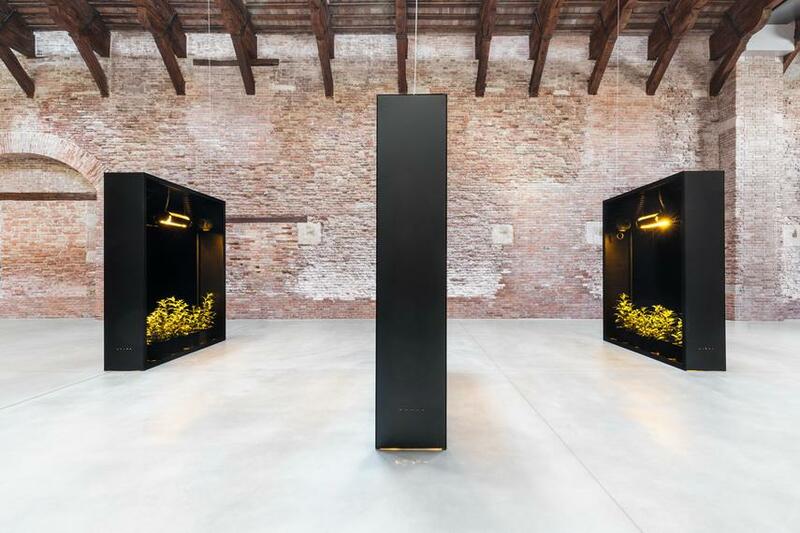 Luogo e Segni will be on display at Punta della Dogana in Venice until 15 December 2019. Featured images: R. H. Quaytman – Spine, Chapter 20, 2010, Pinault Collection; (from left to right) Roni Horn – White Dickinson THE CAREER OF FLOWERS DIFFERS FROM OURS ONLY IN INAUDIBLENESS, 2006, Courtesy the artist and Hauser & Wirth, Felix Gonzalez Torres – Untitled (Blood), 1992, Pinault Collection, “Untitled” (7 Days of Bloodworks), 1991, Pinault Collection. 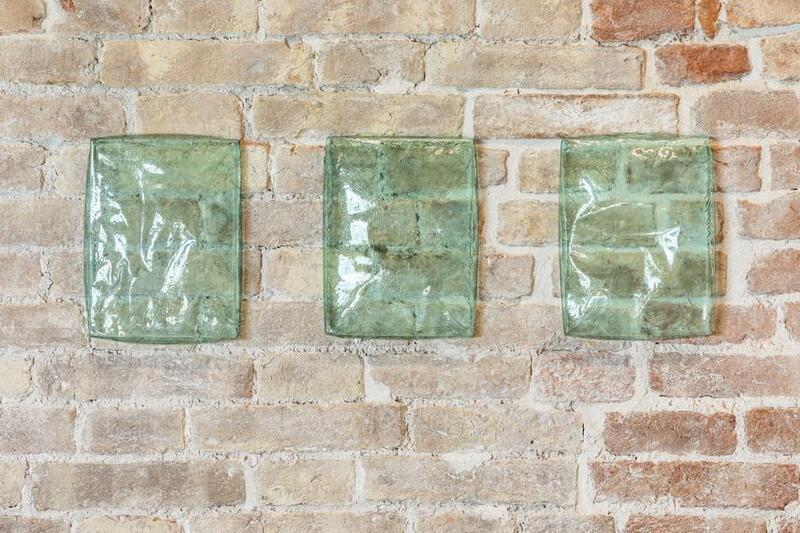 Alessandro Piangiamore – Api E Petrolio Fanno Luce (6, Latte Controvento), 2019, Api E Petrolio Fanno Luce (7), 2019, Courtesy The Artist And Galleria Magazzino. Installation Views ‘Luogo e Segni’ at Punta della Dogana, 2019 © Palazzo Grassi, photography by Delfino Sisto Legnani and Marco Cappelletti. Courtesy Punta della Dogana.